Founded in 1974, SF Camerawork’s mission is to encourage and support emerging artists to explore new directions and ideas in the photographic arts. Through exhibitions, publications, and educational programs, we strive to create an engaging platform for artistic exploration as well as community involvement and inquiry. 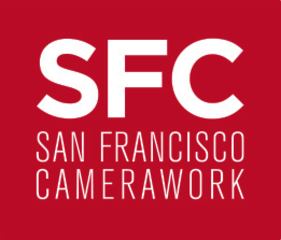 SF Camerawork is a 501(c)(3) nonprofit organization. SF Camerawork was founded by a group of Bay Area artists as a cooperative venture to promote photography as a fine art form. The founding artists envisioned SF Camerawork as a space where photographers could showcase work not being shown at commercial galleries or in museums at that time. From the beginning, SF Camerawork welcomed experimental photography and sought to foster a range of alternative aesthetics and techniques. This included early support for the incorporation of conceptual, performance, and language-based practice within photography.